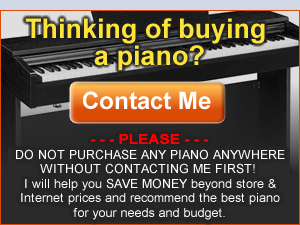 When shopping for a digital piano in person at a store or on-line, there are some important things to know about including whether to buy new or used (and when), how to shop so you can compare pianos correctly, and a variety of other things for you to know including if a digital or acoustic piano might be better for your needs. 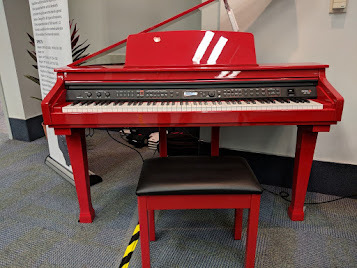 Please click on the links below to read some of my blog articles with regard to shopping for pianos and important things to know. I will continue providing new content in the future. 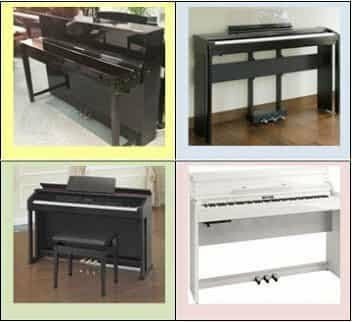 Digital Piano Accessories: There is a variety of accessories a person can get for digital pianos including benches, headphones, speakers, stands, lights, covers, and other useful items. However, there are some inferior accessories that are sometimes sold or included in certain packages or bundles because they are inexpensive and look like a good deal...but they really are not. Please contact me before buying any accessories (or pianos with accessories) and I can tell you if they are good or if they are just cheap inferior product that looks good but works poorly. 1. Used Digital Pianos - Should you buy one? 4. Digital Piano vs Acoustic Piano - Which is better for YOU? 5. Digital Keyboard vs Digital Piano - What's the difference? 6. 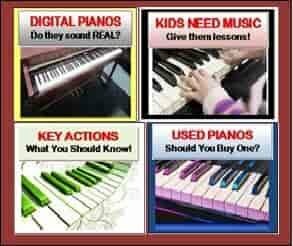 Do good piano teachers recommend digital pianos? 7. Digital Piano Key Actions - Which ones are better? 9. Digital Piano Warranty Service - What you should know when shopping! 10. 6 Digital Piano Shopping Secrets Revealed! You need to read this! 13. Finding the right digital piano - It's a jungle out there! 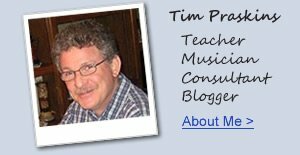 Hi--Wish I saw your sight Tim before purchasing a piano but guess I just lucked out! You confirmed my choice coming to my home in a few days---a quality piano @ an affordable price---The Roland Home Bundle complete RP401R plus for under my 2,000 budget! I too, thought it better than any Yamaha in this price range anyway. Have no need for portability and the more traditional design and nice rosewood color fit well w/my décor! And yes, for only a few hundred more like the bench and accessories offered. I know you say the Roland 130 is the same in regards to sound ,but I thought the RP401R sounded slightly better in the demos??? ?Is this just the type of recording or does the more substantial cabinetry make for a slightly better sound? Thank you for telling me about the music sheet holder and different control panel design on the RP401R---think I'm going to like that also! All in all, thank you for confirming I made the best choice for me w/the RolandRP401R---and didn't touch my savings account! (grin) Appreciate any answers to my just curious questions above when you have the time. Thank you kindly, Karoly----and do hope your son is doing okay. Great stuff here! this is what I'm looking for, my questions are solved. Thanks!